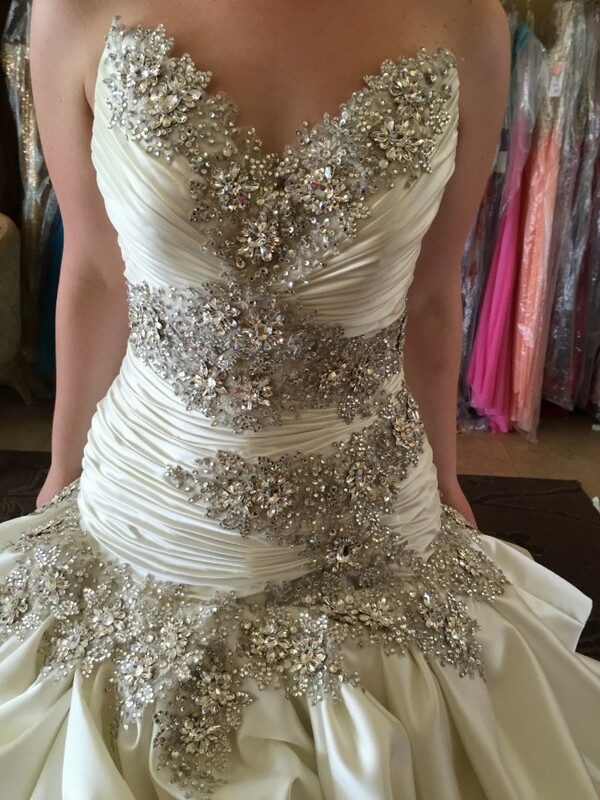 New Never Been Worn Custom Made Karoza Strapless Bridal Ball Gown Dress in Satin purchased at a popular Glendale bridal boutique. Label and street size 10. Fits size 6-10. Dress has not been altered.